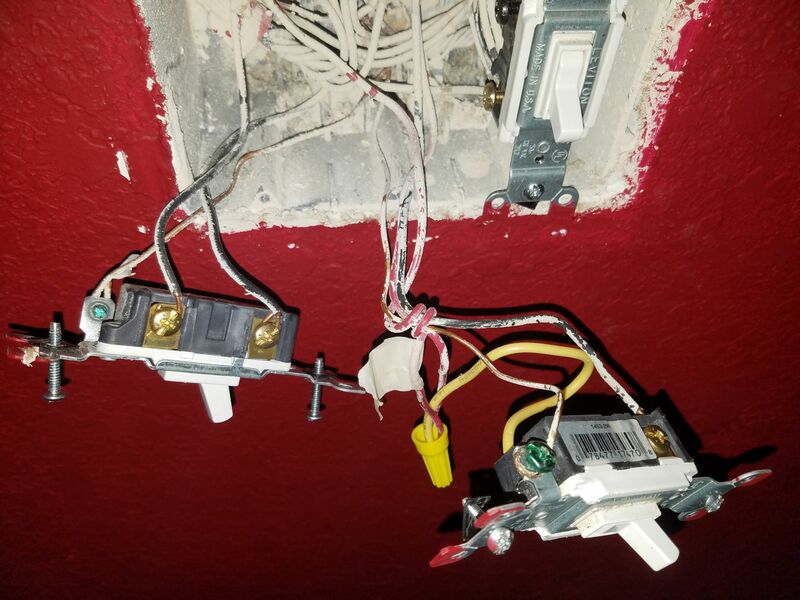 I'm trying to replace existing 3 way switches with 3 way smart switches to control the lights of my light/fan combo. The current set up is a dimmer in 1 location and a toggle switch on the other side of the room. The switches I'm trying to install are Leviton DW1KD-1BZ and its matching remote, Leviton DD00R-DLZ. The short of the issue is the wiring configuration in each box is baffling and I'm not sure how to make this work with the new switches. The current set up is functioning fine. This is what the existing, "dumb" dimmer switch currently looks like. 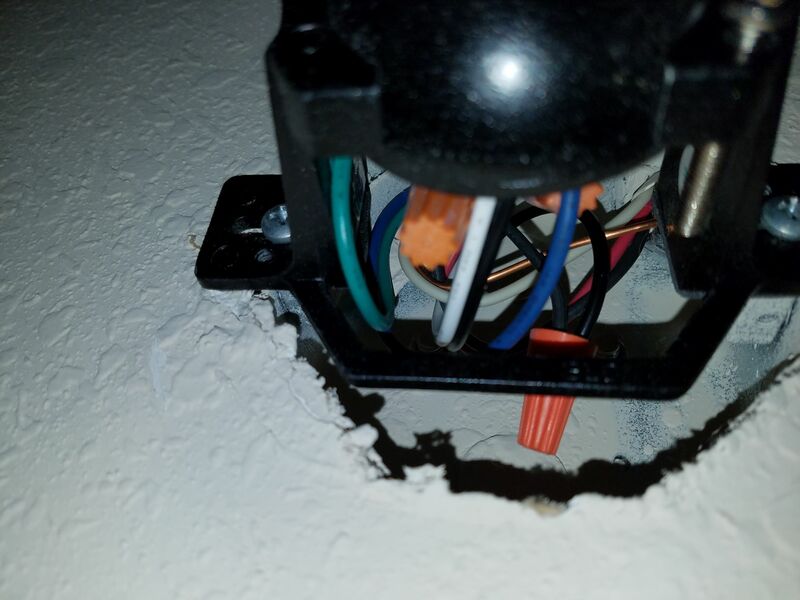 It's connected to a black, red, white, and copper wire. And this is what the toggle switch looks like. It is the middle of the 3 switches. 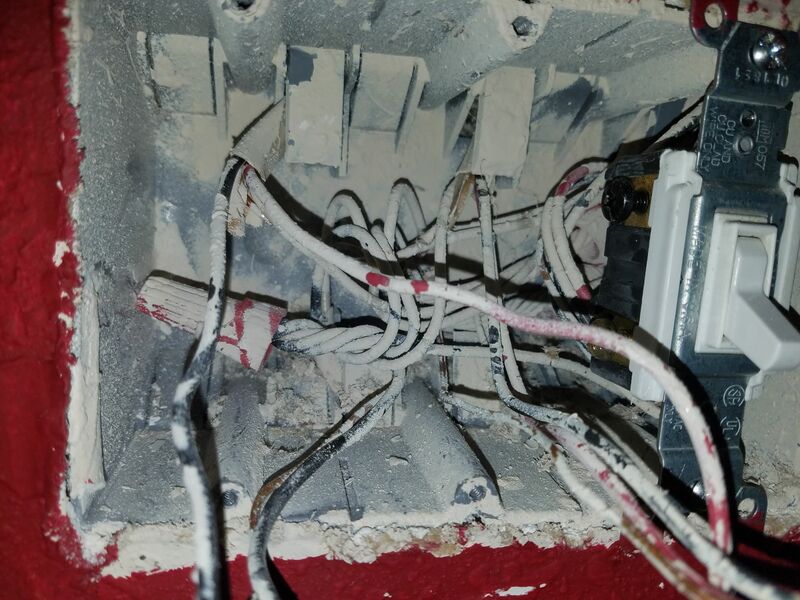 It has 2 reds, 1 of which comes from the bundle of wires connected to the fan switch that is the far left of the 3 switches. 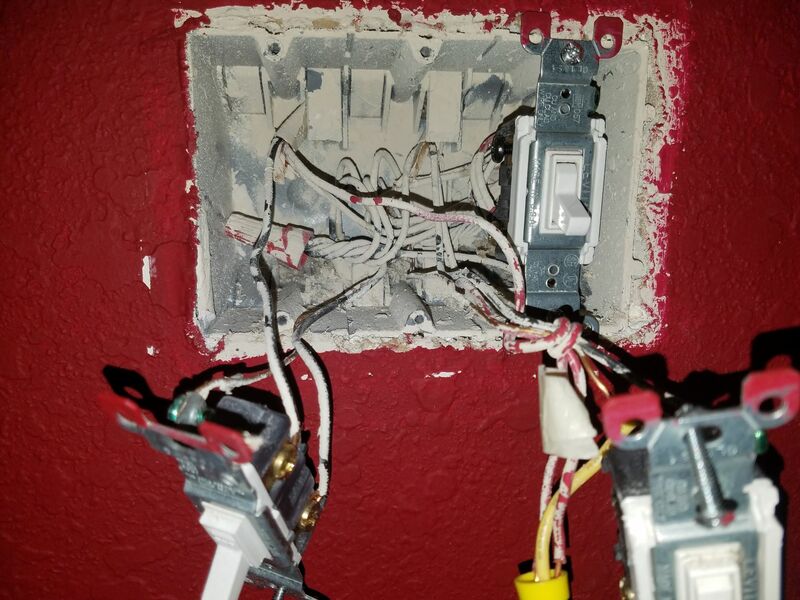 The 2 reds are capped off with a yellow wire which is then connected to the switch along with a black and a copper. Here is the setup at the light/fan fixture. The pictures are taken from the opposite sides in an attempt to show everything. What is inside is: 2 whites capped, 2 greens and 1 copper capped, 2 blacks capped, 1 red and 1 blue capped. 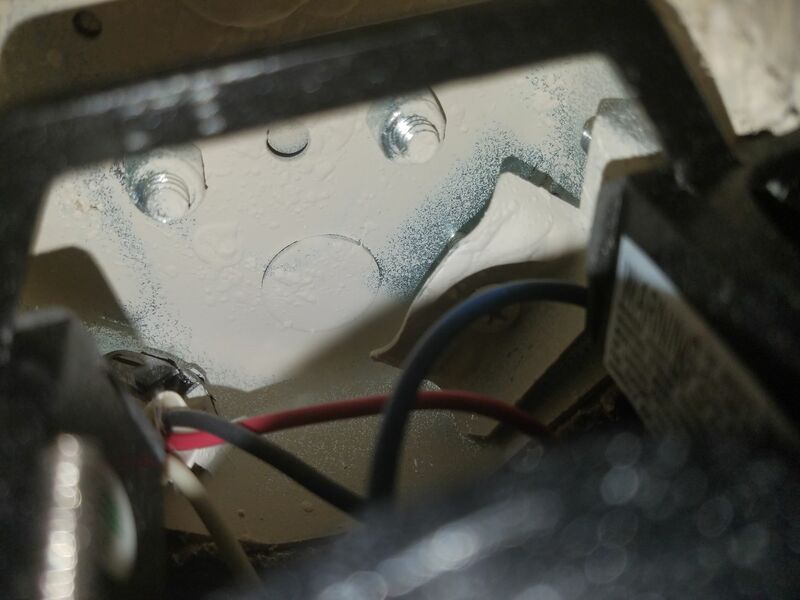 Best view of the inside of the light/fan fixture box I can get, from 2 different angles. There's a romex with black, red, white, copper. 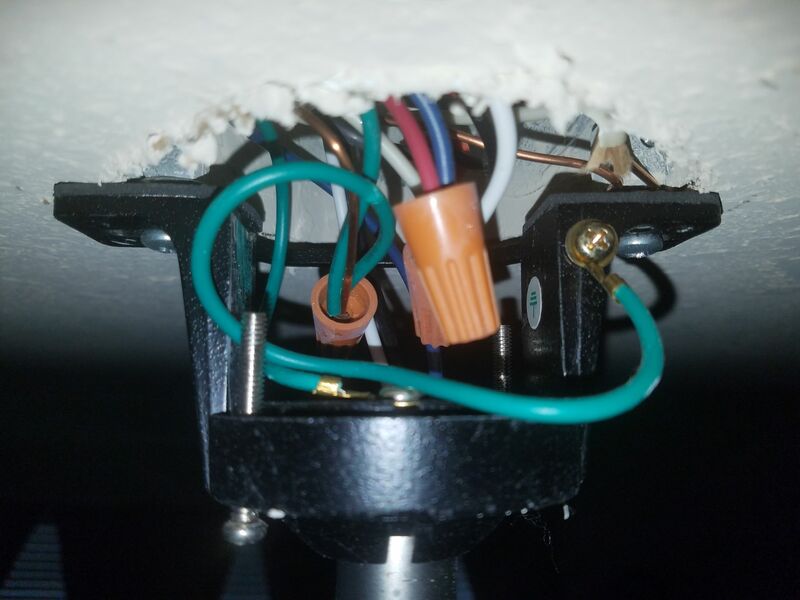 There are 2 green wires grounded to the fan mount. 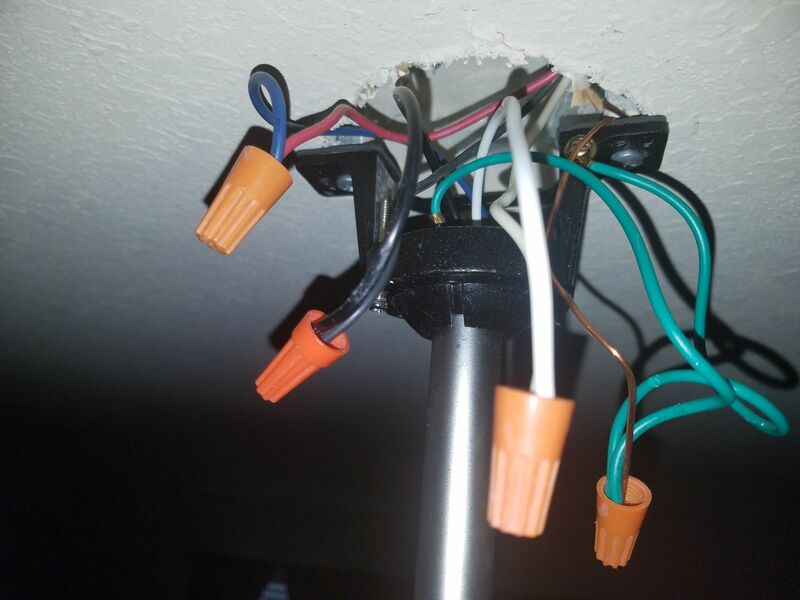 There are 1 blue, 1 black and 1 white wires traveling up from the fan itself. 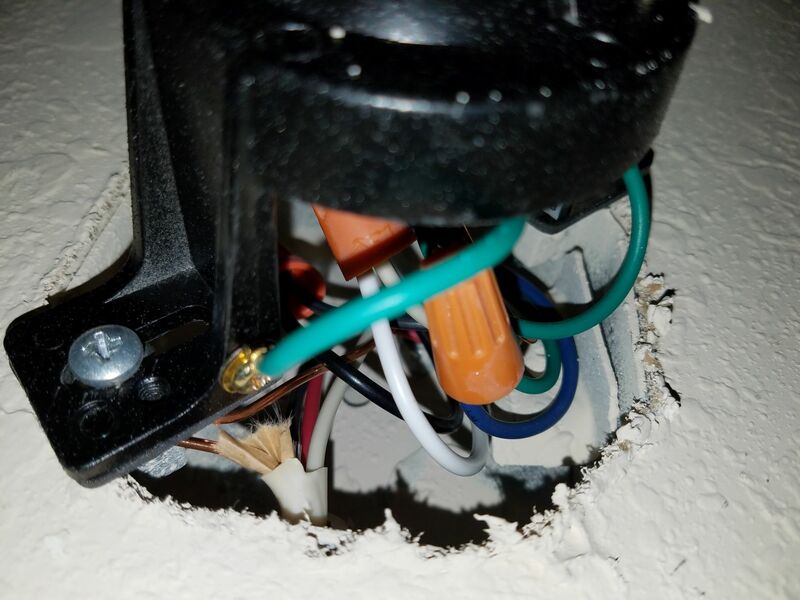 2 additional photos of the light/fan fixture with wires pulled out of box. 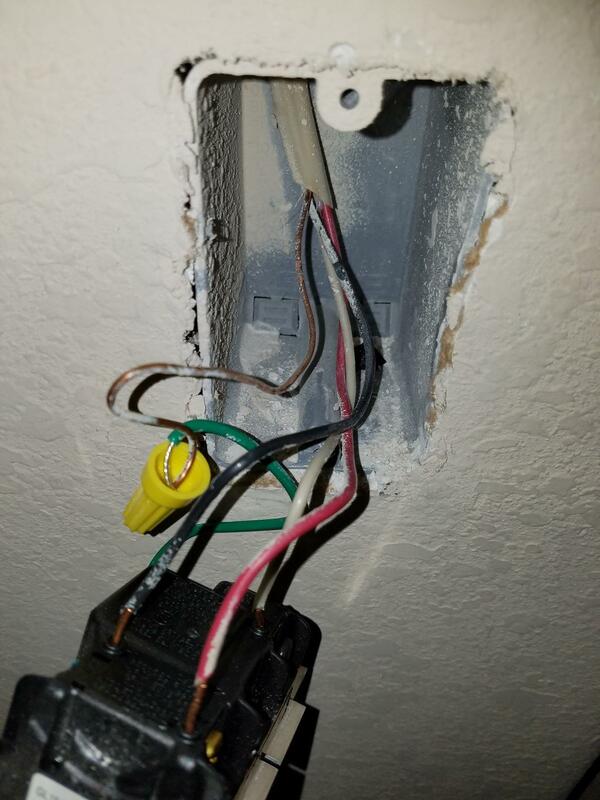 Any ideas on how to get the smart switches working or is it not possible? The funny yellow jumper wire was part of a scheme to convert the switch at the line/load location (the "main" location) to a single pole switch to be used with the 3-way functionality in the existing dimmer (at the "dimmer" location), given that the dimmer was installed as a switch loop from the "main" switch box where both the line and load connections are present. 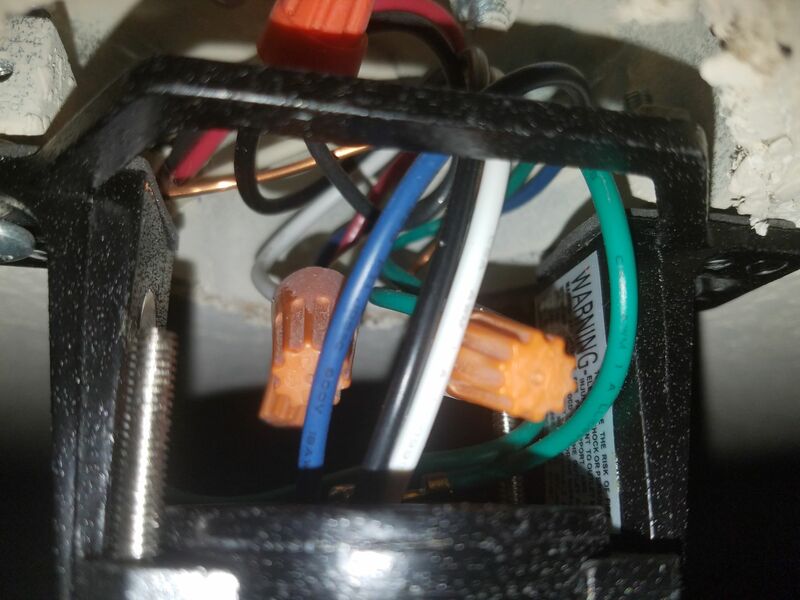 However, the DW1KD has the downside that it must be on the load side of the circuit, and the current dimmer location is on the line side of the circuit. Not the answer you're looking for? Browse other questions tagged electrical switch multiway-switch or ask your own question.